HUGH (1st) & Bridget NAUGHTON. 1816 Mr Hugh (1st) NAUGHTON was born 1816 in Roscommon, Ireland. His parents are inknown at this time. 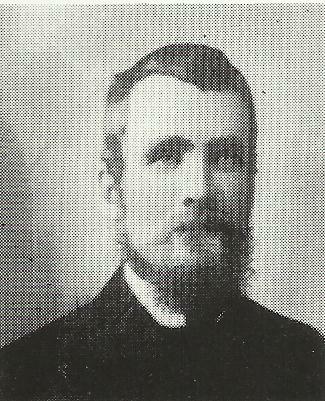 Hugh (1st) died on the 17th December, 1891, in Tumut, NSW. - (Ref- NSW BDM 14599/1891). 1852 - Mr Hugh (1st) Naughton married Miss Bridget HALLORAN on the 12th January, 1852, in Tumut, NSW. Bridget was born 1837 in County Clare, Ireland, and died on the 3rd February, 1924, in Tumut, NSW. Death Notice - NEWSPAPER NOTICE — February 3, at her residence, Carey Street, Tumut, Mrs. Bridget Naughton, aged 88 years, dearly - loved mother of Mrs. McCarthy, Pitt Street, Redfern. Sydney. - (Ref- The Sydney Morning Herald (NSW : 1842 - 1954)(about) Previous issue Saturday 9 February 1924). Mr & Mrs Hugh (1st) Naughton purchased the East Blowering property from Mr James Osmond. 1. Thomas H. NAUGHTON died in 1911 in Tumut, NSW - (Ref- NSW BDM 12377/1911). Married (1st) Elizabeth H Claffey in 1900. (2nd) Margaret Rebecca Downing 1909. 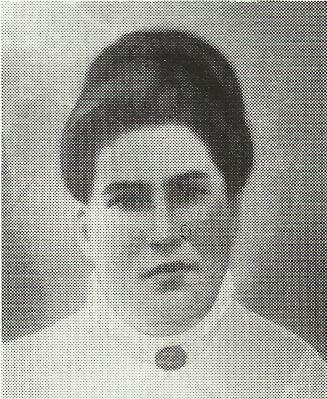 2.1853 - Catherine NAUGHTON was born 27th May, 1853, in Tumut, NSW, - (Ref- NSW BDM V18531938 70/1853). Catherine married Mr John HOWE in TUMUT. She died on the 19th July, 1943, in Ashfield, Sydney. 3.1855 James NAUGHTON was born 9th November, 1855, in Tumut, and died 1931 in Tumut, NSW. - (Ref- NSW BDM 20666/1931). Married to Miss Elizabeth L Corbett. And Miss Louisa Stanfield both in Tumut. 4.1858 - Hugh (2ND) NAUGHTON was born 17th January, 1858, in Tumut, and died 1942 in Tumut, NSW. - (Ref- NSW BDM 23001/1942). Rose LEADER. Produced 11 children. 5.1862 - Patrick Stephen NAUGHTON was born on the 18th May, 1862 in Tumut, NSW, and died 12th June, 1953, in Gilmore, NSW. - (Ref- NSW BDM 10083/1953). Miss O'Brien. 7.1871 - John Henry (Harry) NAUGHTON was born on the 6th August, 1871, in Tumut, and died 22nd November, 1940 in Tumut, NSW. - (Ref- NSW BDM 22491/1940). Married Isabella J FOSTER. 8.1877 - Walter Edward NAUGHTON was born 1877 in Tumut, NSW. He He married Miss Margaret Helena MURRAY in 1903 - 5 Children. He died 1935 in Petersham, NSW. (Ref - NSW BDM No.21493). In the Will of DOUGLAS PATRICK NAUGHTON formerly of Tumut in the State of New South Wales Dairy Farmer but lately a member of His Majesty's Australian Imperial Forces on active service abroad deceased.-Application will be made after fourteen days from the publication hereof that Probate of the last Will and Testament dated the third day of October one thousand nine hundred and forty of the abovenamed deceased may be granted to WILLIAM DUNCAN PERCIVAL (in the said Will called William Percival) and DALLAS LOWTHER the Executors named in the said Will and all Notices may be served at the undermentioned address. All creditors In the Estate of the deceased are hereby required to send In particulars of their claims to the undersigned. R. A. LESTER & PAUL, Proctors tor the Executors. Tumut. By their Agents: F. W. WALKER & SON, - (Ref - http://trove.nla.gov.au/ndp/del/article/17818424?searchTerm=Naughton of Tumut&searchLimits= S M H on Monday 19 October 1942). Deaths of their children in Tumut. NAUGHTON, Louisa NELSON - (Ref- http://hodgeswebsite.tripod.com/Pioneer%20Cemetery.htm). Marriages for the and Bride's last name Naughton in the years 1788 to 1961 registered in the District of Tumut. Marriages for the Groom's last name Naughton in the years 1788 to 1961 registered in the District of Tumut. 6496/1898 NAUGHTON, JAMES married STANFIELD, LOUISA J in TUMUT - His second marriage. She was from West Blowering.